A lot of us will eat junk food for the convenience of it as well as because it tastes so good. But the burgers, fries, donuts, and pizzas are full of so much rubbish that is harmful to your health which makes them not so appealing anymore! Healthy eating can come cheap if you do it right… while processed and fatty foods might seem cheaper they come at a price. Have a look at these tips to help you eat healthy if you are on a budget. Frozen fruits and vegetables are a great way to save money as they last longer and are generally cheaper than their fresh counterparts. The majority of retailers that pack the frozen fruits and vegetables do it right from the farm meaning that a lot of the nutrients are locked in and they keep all of their nutritional value. The best thing to do is stock up on your frozen fruits and vegetables when they are on offer and that way you have a handy supply at ease and don’t need to worry about them going off. If you go and do your food shop when you are hungry you are more likely to buy rubbish! Eating a meal before you go will help you to avoid making impulse buys and stick to healthy choices. Even a small snack will suffice if you do not have time, just make sure you are not starving when you go so that you do not overspend on foods that are bad for you. Drinking water is an essential part of healthy eating and we should all drink at least 8 glasses a day. There are no calories in water, it helps promote weight loss, improves skin complexion, flushes out toxins and even relieves tiredness. It will also fill you up so you will eat less and therefore save you money! Eating a lot of fiber will keep you feeling fuller for longer, therefore you will eat less and spend less. Whole grains, leafy greens and fruits are all examples of great fiber foods. You will be filling up on low calorie nutrients making them a great part of any healthy diet. According to certain studies, the average family of 4 in the US throws away around 40% of the food they buy every year. Rather than throwing this food away, you can easily freeze it and this will avoid a lot of wastage, extra trips to the grocery store and save you a lot of money in the long run! Processed meats like burgers and fried chicken are very tempting to buy and eat but they are not healthy in the slightest. Lean cuts of fresh meat like chicken and turkey breast can be picked up for as little as $0.50 a serving. This is much healthier for you as you are filling up with essential nutrients rather than harmful trans fats and chemical preservatives. All you need to do is add a few spices to these cuts of meat and you will have yourself a tasty healthy meal. Take the time to have a look online at what stores are offering what deals before you go. Nowadays nearly all of the grocery stores place their offers online and even in your local daily newspapers. Have a good look around the grocery store when you go for healthy offers as there are usually lots of promotions going on right under your nose, you just need to look for them. Use locally sourced fruits and vegetables and when you have a spare couple of hours make your own homemade sauce. This is going to save you money as well as being better for you as you are in control of what you are putting in them. A lot of processed sauces you find in stores contain a lot of sugar and are therefore bad for you. Have a look online at different healthy sauce recipes and give them a go. You can even freeze big batches of them for convenience later on. Planning is key when cooking healthy meals. If you do not make a shopping list and plan what you are eating that week you are likely to get to the grocery store and throw all kinds of unnecessary foods in your basket. This will also be more cost effective if you stick to your list. Have a look at the clearance rack every time you go to the grocery store. This can majorly reduce your bill as it is maybe full of things that are on your shopping list that are getting close to the expiry date and that you could make a healthy meal out of. Most of the items you will be able to freeze anyway so means you don’t actually need to eat them straight away! Win win! 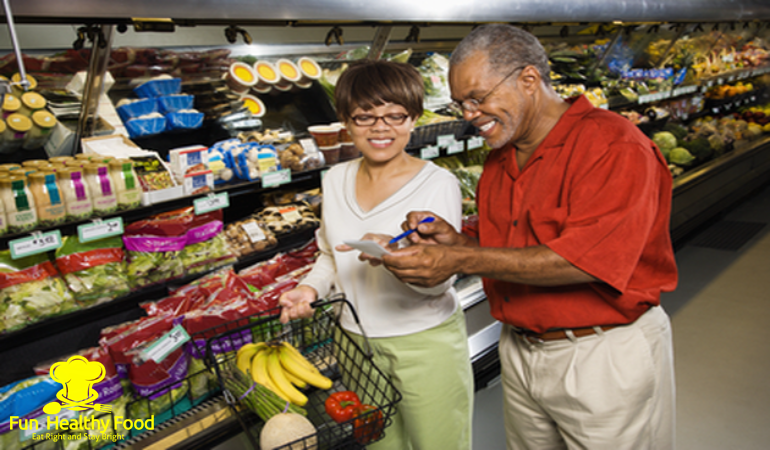 Keep these 10 tips in mind if you are looking for ways to eat healthy and stick to your grocery budget. Healthy eating doesn’t have to be expensive if done the right way, so start today and see how much you can save!